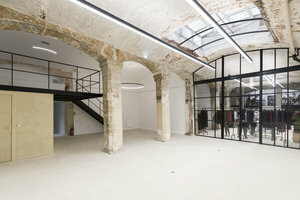 This wonderful 120 sq ft showroom is located in the fashionable area of Le Marais close to Temple and République. 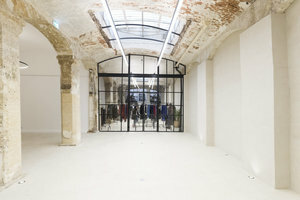 It is a great location for Fashion Showrooms and Product Launches. 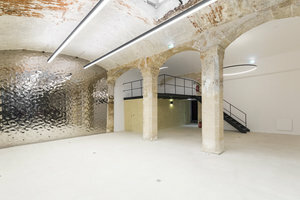 The space is unique with a characterful mix of new and classic interiors. Exposed stone and arched ceilings with the metal wall and floor to ceiling windows give the space a modern feel with an authentic edge. The space offers good facilities with a small kitchen area. 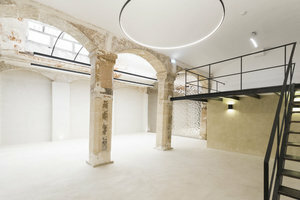 This space is an excellent location for brands and designers so showcase new products and collections. It is easily accessible and in a highly sought after location.